Bank Top, between Throstle St on the right of the photo and Pink St, where the pub is on the other corner. That pub on the left was the Wellwisher's Arms and I believe the premises on the corner of Throstle St, was also once a pub (well a beerhouse) called The Unicorn. 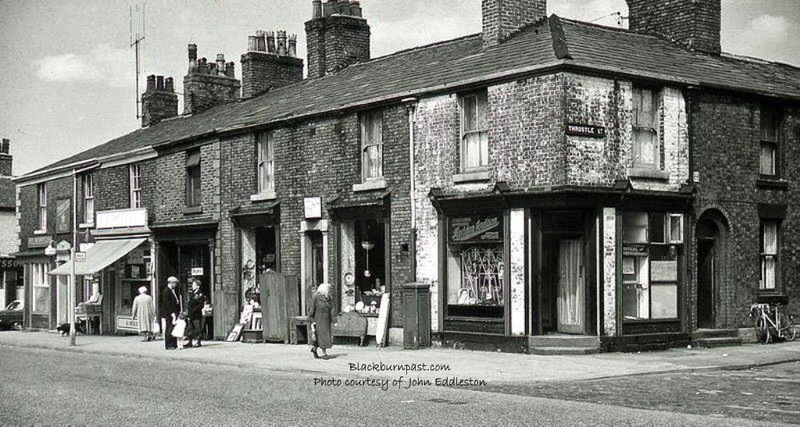 Just out of shot, on the other side of Throstle St, you would have The Turners Arms. 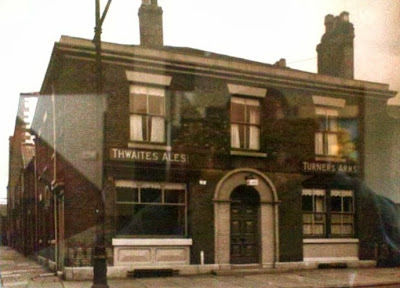 Of the three pubs mentioned above, I can personally only remember The Turners, which I think was still open into the early 1980's or so. Top photo courtesy of John Eddleston. You're probably right. I lived on Rawstorne St for a few years in the early 80's and remember popping in there once or twice back then. But as you say, it could have been still open much later. I was licensee 1977-78, it was a great little pub, and a sad loss to the local community. Here is a little history of it. The Turners Arms was situated at the corner of Bank Top and Throstle Street. It was named in honour of William Turner, mill owner, calico printer and spinner. In 1832, together with William Fielden of Feniscowles, Blackburn, he was elected as one of the first two MP’sfor Blackburn. The Turner Almshouses, nearby at 58 - 68 Bank Top, and still there now, were erected and endowed by William turner and his wife Jane of Mill Hill Blackburn in 1833. The pub was demolished in 1986.